This is the first photo memory amplified telephone to offer High Definition Sound for unmatched voice clarity, making every word vividly sharp, clear and easy to understand, all virtually without any distortion, echo or squealing sounds commonly found in other amplified phones. This telephone line powered phone (no AC Adapter is required) amplifies the incoming sound up to 20 times (26dB) louder. 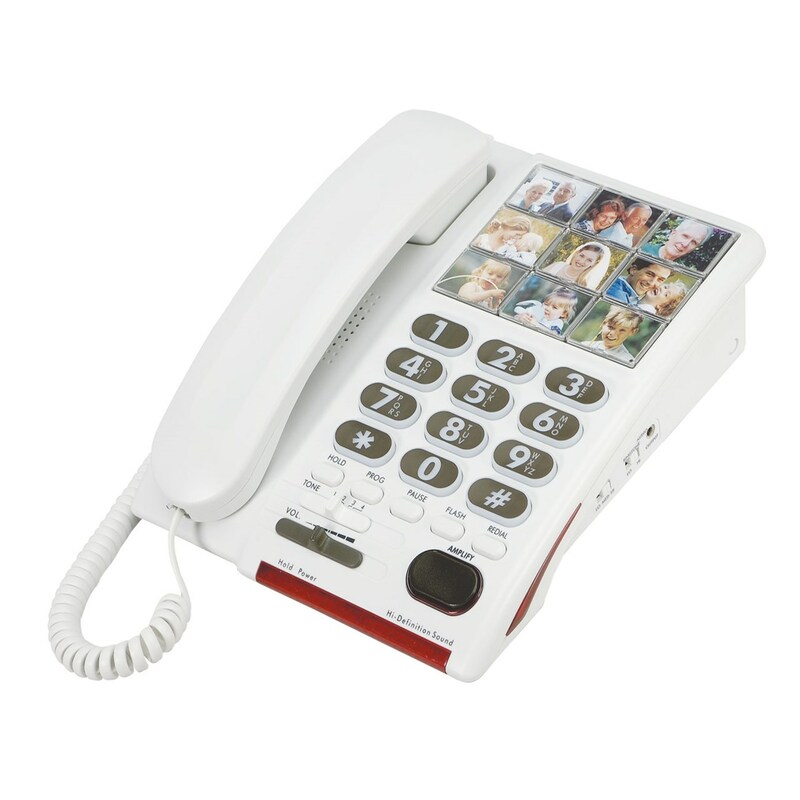 It's ideal for people with mild to moderate hearing loss and for those who may want (or need) the convenience of photo memory dialing.